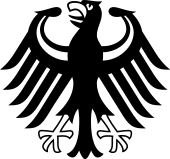 The (M) stands for Mobipocket (the generic form of the file that Kindle Reads) as well as AZW and PRC, the other forms readable by Kindle. Let's leave DT as Dead Tree books. (And perhaps I should add M for books borrowed from my mother:). )I think it's clear what percentage of my reading is becoming e-format. The vast majority are also free, either as public domain or as promotional offers through Amazon and the other online sources I frequent. B stands for Baen, the best of the on-line stores by so many orders of magnitude there is no comparison. After getting back from the UK (and counting our blessings that the weather did not interfere with our plans in any substantive way) we came back to a full schedule. We got back Tuesday afternoon and sent the in-laws on their way with effusive thanks: we offered entertainment but they wanted to get back to prepare for the holidays (and every day my mother-in-law is not there is a day that someone needs to substitute for her on the organ and at the retirement home). TMI following, feel free to skip: Then I got to fast. Wednesday morning was my (delayed) colonoscopy. After we extended he contract here in Germany, I realized that I needed to start actually considering my health, getting a three years too late annual exam, a full gyn, a mammogram (and ouch, they were extremely good at checking the margins! ), a lung X-ray when my internist got tired of hearing me cough, and finally the colonoscopy. This is when I am grateful to be on extremely good Expat insurance (legal because we are here on secondment, otherwise not allowed to German residents). I think that with family history one can get checked for these things earlier than the German standard, but I'm not certain. What I do know is that my sister-in-law hasn't asked and she has an even stronger (worse) family history than I do: at her age I had been checked for 5 years. All was well with all the tests, the German prep for the colonoscopy was even worse than the American one, and I can wait four years until the next: Yeah. Next came the last days of school and the drive to NRW. That's where we really ran into the weather issues that we had avoided traveling to the UK: 9 1/2 hours to travel a distance that usually takes us less than 4 1/2. The A2 was closed in the morning but then it reopened and we thought we could get through. Until it started raining heavily while -.5C and the Autobahn became a sheet of ice while all salt and grit washed away. We were actually very fortunate that the traffic came to a dead halt while we could see an exit and we wound up getting off, taking the kids to the (unbelievably packed) McDonalds we saw in the distance and checking the computer and with the in-laws to discover that there was a 26 km stau– we spoke to people who had stood on the highway unmoving for more than 10 hours. In our case, after consultation with our neighbors at the table to the right (they had a million maps!) and father-in-law, we wound up going south and detouring through Kassel before heading back north. It was much easier as we went south and it became colder with the precipitation being snow rather than rain. I was cursing that we hadn't chosen to take the train after hearing the forecasts, but we found out the next day that four ICE trains had been stuck on the tracks between Berlin and Hamburg due to cold and ice, so we were definitely better off in the car. We got there a bit before 2 am and carried the kids to bed. This is an actual German Christmas tree. Those lights that you see are not cleverly designed electric lights, they are actual candles burning on an actual pine tree that is not sitting in a container of water (because they don't water trees here) in a room lined and roofed with wood and next to curtains.Amazing, isn't it? (Also, note no fire extinguisher or bucket of water in room). Keeps one on one's toes:). This is my charmingly anonymous spouse and the girls. Note how warm they appear. The one without ski pants or waterproof gloves is the one taking the picture. The hill is the actual street outside my in-law's: the day after we arrived it became usable only if one entered above and exited below, Those who tried it the other way made loud revving noises until the German and the F-I-L dug them out. They seemed to enjoy it and we spent some time every day sledding here and on other hills in the area. We weren't as venturesome as my sister-in-law, whose husband dragged the kids on sleds up a steep hill in a neighboring town, then rode back down with them. We met up for lunch with our former au pair in the US (I can't believe that she's about to start her internship in medical school) and had a nice chat: I wish we lived closer by and I hope she has the time to visit us after exams. All around a pleasant and domestic time, which included all members of the family playing instruments and singing carols as well as enjoying (adults only) the traditional Feuerzangenbowle. I actually like this, which is surprising because I generally hate Glühwein– perhaps because what I am served at Weihnachtsmarkts is more usually Glögg? It was a relaxing and pleasant wind-up to a frenetic holiday season and the trip back took only four hours:). They let us check in super early (9:30 am) which was great as I hate leaving my bags at the desk and we needed to run off and meet a friend at the National Gallery. I particularly liked this piece of art that was outside the Gallery- I hadn't noticed that it changes but since this ship in a bottle wasn't here a few months ago, it must be a rotating gallery. When we had made plans for the visit to London, the only thing that I really wanted to do (besides my usual wandering around and looking at things and having food without pig in it) was to visit the National Gallery. It seems that every time I go to London I go to the British Museum and although I could continue to do so for the rest of my life and not see everything (and although the design is fabulous) I wanted to see something more intimate and more focused. Because i fell in love with Venice last year when we visited (it really feels as if one is walking through a painting), this exhibit seemed particularly appropriate. And did I really not talk about that either? Our anniversary trip last year in October, from Venice (as the acqua alta began) to Naples to Pompeii and then back to Rome, with the entire day lost wandering through the Vatican Museum and the final achievement (so many years after my four years of Latin) of spending the entire foot weary day wandering through Pompeii. I love Italy. Since C works with museums, she put up with the amount of time it took me to wend through the exhibit: ever since we used the audioguides at the Vatican Museum and then at the Alte Pinakotkek in München, I have decided that they are really great and worth the time and expense (as opposed to many years ago when I first tried them and they were no more than the same words I would read on the displays) and this "guided tour" was very interesting. Afterward we ate lunch at a pub and the cider that I had (in bottle) was over 20 oz- or 2.5 servings for a woman when looking at the guide printed on it. I had to give half to the German and I can see why Britain has an issue with over consumption of alcohol— the cider was cheaper (and larger) than the soda water he was drinking. Then we said good bye at the station and wended our ways in the falling snow: a very pleasant visit. In the evening we went to see the new Harry Potter and were amazed at how expensive movies are, but enjoyed the evening out then had a quick meal at the cafe in our hotel. Monday we walked around the city a bit and in the evening we were off to the O2, again by public transport and again, although warned of problems, we had none. The O2 in London is amazing: a mall, a movie theater, an ice rink, a huge arena and much more. Also very pretty. We had a bit of an issue at the pick up window (the clerk couldn't find our tickets), which was stressful, but at least this time we had a contact number which someone actually answered and they dispatched someone to clear up the issue, so the discomfort was the attitude that perhaps we were fibbing? A woman rushed up and asked the folks behind us if she could drop some tickets- she said she "played the violin" and the man asked, in his adorable British accent, if he would see her in the show. She said yes, which was an understatement: she had some amazing solos and was wonderful but my goodness- what a difference costume and make up made! I think the tour bus must have been very late, which also explained why the concert started after 9:20. I had gotten the tickets to Shakira simply because they were free and we would be in London when she was playing, but I liked her act very much. What a difference between her and Lady Gaga! Her voice and range were amazing, her dancing was fantastic, and her dress was modest and her moves athletic and exciting. Gaga had a good voice and fun songs, but Shakira both surpassed her and was not profane or hypersexual: we enjoyed the concert very much. This was, I think, her last gig of the tour and we were surprised that the sold out venue started emptying out before her encores, perhaps because she started late. We stayed and enjoyed two wonderful songs and had no problems getting back on the Tube. This isn't the best quality sound, but gives a really good view of her dancing. A few people still sleeping in the Heathrow terminal- we ourselves had no issues going out (an hour late), but they were triaging folks, not allowing them into the terminals without a ticket which was showing for an uncanceled flight, so it was a bit SFnal seeing the hordes standing outside the doors being kept back by security.Then security moved us to the head of the amazingly long luggage drop line because we were in two hours of departure. After that, everything went very smoothly and we got back to Berlin to discover lots of snow but no issues with transportation. It was good to be home. After last year, I had planned on never attempting to visit the UK or travel within Europe by plane during the months of December or January. Unfortunately, we had been looking forward to seeing Jeff Wayne's 3oth Anniversary War of the Worlds tour right here in Berlin at the O2, when we received an e-mail, telling us that the show had been rescheduled for 2012. When I went to the tours site to discover why, I found out that the German promoter had decided to pull the tour and have it redone in German, which was why it would take an extra year until it was ready. I was not enthusiastic. The character of the narrator, Richard Burton's voice, is integral. And I love the original and don't really have the desire to hear it translated/dubbed into German. The production company offered those of us the option of buying tickets for any of the remaining venues in the tour and the day that made the most sense (if I were to go with the German) was the last: Saturday December 18th at Wembley Arena. The date gave me a certain amount of stress, considering what had happened last year. Before booking, we got agreement from the (unbelievably great) in-laws that they could come and take care of the children for an extended weekend, as school would be in session, and we were able to add another concert on Monday the 20th— tickets to Shakira at the O2 in London were available for hotel points and we thought— "Why Not?". So we booked a flight out Friday morning the 19th, assuming that would give us some time to deal with weather emergencies and I was grateful: England had two inches of snow and the beginning of what would be a serious weather emergency did impact us. On our side, Berlin had snow, T2 was ill, and the in-laws came in a bit earlier than they had expected to make certain they would be in place. We were two hours late taking off, but no biggie, and it was interesting to see the de-icing operation. When we got into London, we had some coffee, grabbed our bags, and bought Oyster cards, which are the only way to economically get around on the London transit system. We planned this trip to be economical and were in no hurray, so we took the regular Tube into Central London rather than the Heathrow Express. We stayed the first two nights at Leicester Square Holiday Inn through points, so it was free, but the location was not perfect. Although close to Leicester Square, it was a bit of a drag getting our luggage through the snow, ice and slush to the quiet hotel several streets back. In addition, although we were under the roof in a decent looking room with an adequate view, it was cold! I spent the rest of the day being ill (as the German was the following day) and we think it was a manifestation of what T2 had, although thankfully without the projectile vomiting. We kept the heat cranked up and used extra blankets but it was cold and snowing and the windows in the bathroom were, we think the source of the cold due to inadequate insulation. We wandered the area in the snow after a nap and stepped into a wonderful Thai place, the best I've eaten in since Munich, and the spices definitely helped my headache:). It was a lot of fun window shopping in the center of the London shopping district and looking at the lights, although we actually didn't wind up buying anything in the city at all. London always feels much more like home to me than Berlin does: it's not just the language, but the design and energy are so much closer to NY than Berlin. On Saturday we wandered a bit more through a deserted London— there were outages throughout the public transportation system although examining them, it was clear that the real issues were on the lines that had above ground areas due to signal failures. The damage to the shopping season must have been great because entire streets were empty of walkers in what should be a dense shopping area and there were almost no vehicles moving. I think they had had 4 inches in total. There were also scheduled outages and a scheduled work stoppage (that is, a planned strike) on the Tuble lines. We were concerned that it might be an issue getting to Wembley and asked a cab driver what a cab there would cost. When he told us "it would depend on traffic" and we could see almost no cars on the road, we knew that it would be a total rip off. We looked at the different means of public transport and decided to leave earlier and see how far we could get. When we got to the Leicester Square station, we asked what "serious delays" meant and one of the many workers (wow, how nice to have workers!) told us a 10 minute delay. I laughed and felt a lot of reassurance:). There were significant gaps in the further reaches of the Arena, which were probably due to the travel difficulties— at a guess they were bus loads of people that were not able to get in to London. A whole large family filed in past us a few minutes after the music started, with the apology of the dad that it had taken them 8 hours to get there. I really enjoyed the musical. I didn't take any movies myself because I bought the DVD:). During intermission we chatted with the people around us and after the show we had backstage passes (part of the apology) which was also tremendous fun, although I'm too shy to really benefit from that. I did get an autograph and a picture with Jeff Wayne and got to watch all sorts of famous people interact while snacking and having a soda, though. We chatted with some folks from Zurich who were there for the same reason as us, but who had believed the "serious delays" and taken a cab. At 50 GBP, I'm glad we didn't! They joined us on the train back to London and we wished them luck on their flight back to Zurich the next day (which I am certain that they did not make, considering the chaos that was unfolding at Heathrow). I had wanted to take my Orienteeringskurse last month, before taking the B1 exam (so I would have a chance to speak some German after my class ended), but the course was booked out so I wound up having to take it this month from the 8th through the 16th. The timing made life a little chaotic, with all the other things happening this month and with T1 getting sick during the course. In addition, because the teacher had an issue with the class extending to the 17th, as it was scheduled, we needed to add time to each of our other classes to reach the required 45 hours. I found it amazing that a German class was actually scheduled to run (normally) on a Saturday. Of course, it wasn't the unimaginable Sunday! So, my feelings after taking this course: I found it interesting and of course, since I already have my permanent residency, I took this voluntarily. There was another woman (from Finland) who took the course simply to learn more about the country in which she is living, but everyone else there was there due to a requirement by either the BaMF or the Jobs Agency. There were 16 people in my course and the over half were native Turks. In one case, although B1 proficiency is required for the course,the gentleman spent the time sitting in the back and when spoken to or speaking, had translation done by the women sitting next to him. One woman said that she didn't "want" to take the test (a 25 question test at the end of the course) and asked what would happen if she did not: the teacher said that would be between her and the BaMF but the individual asked that question repeatedly and also showed up late or left early every day. I actually knew two of the women from my past language courses and I enjoyed the opportunity to communicate in German in a way that did not focus solely on learning language. I particularly enjoyed learning about the set up of the political system and the Constitution. Of course, the basics were familiar and comfortable to me as the German Verfassung is based upon the American Constitution. I think there are even some improvements, as the men who wrote it had some 160 years to actually work out the kinks before rewriting it. Learning about the Verfassung and understanding rights would clearly be more difficult for those from cultures without such constitutional (written or unwritten) rights. But the Bundesamt and Landesamt concepts, as well as the deeper understanding of the Parliamentary system, was very interesting and worthwhile. watch her language in private speech. This from a woman who, quite amazingly, manged to teach this course at exactly a B1 level throughout the 8 days— there was not a word or a sentence that I did not understand. If it's too much for her to "speak down" to foreigners, I certainly understand why so few native Germans have the bock. The course was clearly aimed at teaching people from non-Western cultures what the Grundgesetz or basic (inalienable) rights are in Germany and to require them to look at some German history to understand Germany's place in the world and as such, I am glad that it exists. I think it was too short and too easy, though. All of the possible questions for the test are published (250), from which 25 are chosen for the actual exam. I read through the questions (and answers) the day before, with an eye to being certain that I understood all the German and when I took the exam (with an allotted 60 minute duration), I finished in 3 minutes. The majority of that time was spent understanding the crazy manner of crossing out or circling required to overwrite an error. To fail this exam would be to make a deliberate act of will and if I were German, I would not consider such a course nor passing such an exam sufficient education to allow a person to integrate within German society. I always love Sony Center in the holidays- nice architectural design, great lighting. We met some friends at the OV theatre to see Rapunzel in English and we all had a great time: I think this is the best Disney movie for the kids in, perhaps, forever. 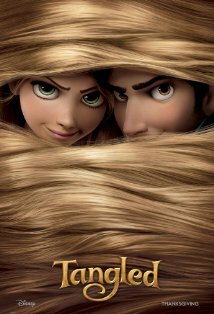 The music was, perhaps, not the best ever, but the plot and the animation were top-notch. What a pleasure to see a movie where the mom doesn't die, is not at fault, the parents haven't done anything wrong and survive the story! The Theatre des Westens is a gorgeous place. I often find it a bit depressing how little audiences in Berlin react (at concerts and musicals- when I saw Rocky Horror no one even got up to dance the time warp!) I felt the same way through the first act of this musical written by Ben Elton to showcase Queen's music— until just before the second act. That's when the audience started the famous "We will rock you" clap. It made me feel more at home. Perhaps it was the beer during the intermission? When I looked around, the average age was a few years older than myself (which makes sense, since Queen was founded in 1971, when I was but a wee babe:)). You can read the plot in the Wikipedia entry, but the gist seems to resemble most closely that of Anthem by A*n R*nd and 2112 by Rush. It was a hectic day today as I had an Orienteeringskurs Ausflug (field trip) today, to the Deutsches Historisches Museum, while at the same time the German had a minor operation and then later in the evening we had tickets to a musical: that's what happens when one tries to get everything done in December and mandatory items pile up. After making the kids breakfast, I said good-bye (we had a babysitter booked for 11, giving the German 40 minutes to get to the doctor). My class met up at the U-Bahn station at 9:30, walked over to the museum (we were 15 minutes too early) and then were able to leave our coats and bags in a group lock up, which was nice. We had a guided tour through a bit of the early history into the current period (I am again impressed at the wonderful quality of all museum guides that I have been in contact with in Germany- they are amazingly good at their jobs). The detail you see at the left (it's a tiny detail) shows what in English would be called a "scold's bridle", showing how inhumanely women in the west were once treated. We were then were given workbooks and sent forth to do research on the N*DP (N*zis and the period from 1933-1948). It's good to know that individuals who are seeking to either become permanent residents of Germany or to become citizens will be required to have at least a cursory understanding of the role of Germany in WWII: this course is generally a stop on the way to both (although I have my permanent residency already and am simply taking the course to expand my knowledge of Germany). I don't think it's enough (the government is discussing increasing the course to 60 hours), but I still have more than 30 hours left of the 45 hour curriculum, so I will be interested to see what the remaining portion teaches us. The museum is beautifully laid out and I expect that we will return to it as a family to take a tour of the medieval portion (they have one for children concentrating on knights and castles). The section on the Holocaust is well-done and tastefully done, although, really, I don't enjoy this and if I had known what the concentration would be I probably would have excused myself— I don't feel that I need further education on the subject. The most interesting interaction of the experience was when we stopped in front of a painting from the late 30's. It showed a triumphal Arc in Munich (based on the Arc d'Triumph, apparently). On the left were N*zi youth collecting money from passers by. In the center, walking in the direction of the Arch was a tall, erect man, on crutches and missing his right leg from the knee down. He is striding and wearing a military overcoat. His head is proudly held high. On the right, by the arch, is a woman in widow's weeds, pushing a white pram. The guide asked the group whether we felt that this painting was in favor of the war or against it. I immediately replied, in favor. Every other person replied, against. The guide asked me whether I wanted to change my reply and I said no: I thought it was clear that every person in that picture was proud of themselves and their country. When he asked the other students, they said how sad the picture was. I pointed out that they probably would not have felt the picture was sad if N*zi Germany had won the war. Then the guide explained that I was correct- that the picture had been used as propaganda in the "Total War" drive and the direction ran, from left to right, of how one should give to the Fatherland: least is money, next would be limbs and the final and highest sacrifice, one's life (or one's husband's, since this was aimed at the domestic market). I find it a little bit frightening that a group of 15 people could read something so obviously incorrectly. Then it was T1's turn to be shabbat mama. We used my by now standard chocolate cake recipe and she requested blue frosting with pink sprinkles and pink with blue: "because the boys might not like pink". When I grabbed the cake pan while picking up T2 (a friend gave T1 a ride to ceramics), there was 1 piece left and 2 girls split it— one boy said he'd had three pieces — so I think no one cared about frosting color:). T1's party was for the entire Grundschule and it was a lot of fun: someone told a wonderful story, with bongo drums on stage. I wasn't certain if he was a teacher or a parent who tells stories professionally, but he was wonderful. Then we had the bazaar, to which I brought another 48 chocolate chip cookies, and the afternoon was spent doing seasonal crafts: much fun had by all. When the German and I went to T2's Chanukah party, we expected to hang out in their room, sing a few songs, light a Chanukiah, and eat (I brought a chocolate cake). Instead, they had a wonder show in the big auditorium: T2 (who is amazingly shy in public, although not in private) even participated a bit. We were very proud and surprised, and then went back to the room and ate and chatted. We had a nice chat with a new mom from Israel via Seattle and her in-laws who were in visiting. T2's Erziehrin asked for the recipe of this and the chocolate chip cookies that T2 brought on Friday (when she was Shabbat mamma), which made me very pleased. I explained that it was probably the dark brown sugar which made them so lecker, which might be an issue, but said that I would bring the recipes in next week in any case. Off to a community holiday party, where Thing1 was part of the entertainment. She always looks very earnest when singing: I think that is because she is a bit uncertain of the words. It's hard to switch from English to German when the original is Hebrew. Next week I will ask her music teacher if he can give us copies of the songs so that we can practice at home before the next public show. We had lots of fun and I met several other moms from both T1's class and T2's, which was nice. When I visited the Deutsche Guggenheim in October, I saw that they had a wonderful number of community activities. In particular, they do a lot of work with children and youth. Because T1 is a budding artist (she gets that from my mom, as the German and I have no artistic ability), we thought she would enjoy the opportunity to both learn about art in an age appropriate way and to have the opportunity to create some art. T2 was a bit shy, but T1 always gives her confidence. T1 was a veritable Andy Warhol, making 4 paintings to T2's two. Thing2 loves to collect leaves and chestnuts. This leaf was gorgeous and green and absolutely huge (see her glove for size comparison). With some eye holes cut out, it was a wonderful mask and I could see clearly what the model for those lovely fabric masques I saw in Venezia (why don't we have such huge leaves in New York?). We traced the leaf on construction paper (it took two!) as well and now the original goes to recycling. I've had the movie DVRed for ages and I finally watched it and all I wanted was to see more of Julia Child's life. I read the book this is based on some years ago as an advance reader copy, and what I found most amusing was that the soul destroying agency for which Julie Powell worked was a sub-agency to the place that I was working at the time. 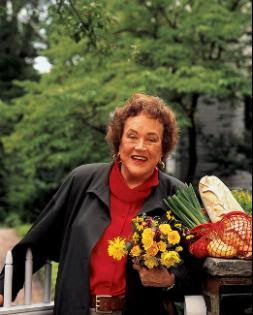 Reading Powell's book made me go out and buy and read several books by Julia Child (starting with My Life in France and moving forward into Kitchen Tips and Wisdom— I've got the videos and Mastering the Art 1 & 2 waiting in the US as I ordered them through WGBH for my next trip). The movie is worth seeing for the Julia Child portions; it's unfortunate that Amy Adams wasn't able to make Julie Powell more interesting, but there wasn't a lot of there there for her. For the third year we went to the American Church in Berlin for their Thanksgiving Buffet and Concert. We are grateful that they have allowed their celebration to be open to those that are not members of their faith and their congregation. This year was smaller and more intimate than last, with the entertainment being solely drawn from the congregation (which included a wonderful retired opera singer as well as a pianist who made me realize how long it's been since I heard Debussey and how wonderful his works are), while last year included professionals such as the Harlem Gospel Choir. They were wonderful, but this year was much more haimish. Although thre was babysitting and we had prepaid, we thought ahead and brought the double stroller and both the girls were fast asleep by the time the entertainment started and stayed that way through the concert, making it wonderful for all of us. The celebration was on Saturday of course, as American Thanksgiving is not a holiday outside of Thanksgiving. It worked well for us as the German was in Munich on the day and the children were at school, so celebrating at home would have been impossible (I actually made a nice beef stew on that day— perhaps I'll post that later). Wolfsbane by Patricia Briggs: more Aralorn and Wolf: It's fun when an author has the chance to revisit an early book and give it the polish that she has acquired as she becomes a best-selling author. I enjoyed this book when I first read it yonks ago and was glad of the opportunity to read the sequel. Well written fantasy. The Sorceress of Karres by Eric Flint and Dave Freer-- Sequels to the original by James Schmitz and not as well written. I hope that I am not as disappointed in Scalzi's reboot of another period classic, Little Fuzzies. Carousel Tides by Sharon Lee: Really nicely written book outside of the sf genre that I generally read Lee in. Magic, guardians of the land, and a carousel: what more could we want. I hope she does another in this world. Enchanting the Beast by Kathryne Kennedy: The first was a free Kindle download and I enjoyed it enough to read its "sequels" within the same genre of Steam-punkish were magic and romance. Why can't everything be this satisfying? Every time I watch another episode of Smallville (a show I originally refused to watch because I thought it was too far from canon), I wonder why everything can't be this satisfying? Now in its final and 10th year, every episode is just more and more right. Take that, Lost and Sopranos, two shows whose final seasons made me hate their entire runs. After over a week of grey and rain, it's snowing. I hope this weekend is not too late to find snowpants! I wouldn't mind if it weren't grey and snowing:(. Because I have some friends that don't see posts in a reader, they miss posts when I put them up out of order. So while I have been posting on the unblogged, here's an index. I'll try to be more timely in the future or to make a point of doing monthly catch up sessions— one or the other. Even though I haven't been posting, I've still been tossing things. The more ordinary– dingy t-shirts and worn out clothes– haven't made it to the camera, but here is a candy dispenser I needed to hide to ensure it would not be missed (the first try, Thing1 saw it in the trash and re-accessioned it) and some paperwork. Normally I haven't been counting miscellaneous papers, but these were made it to paper recycling as I was consolidating two boxes into one— the U-Haul box that hit recycling was unphotograped, but had made it from Upstate NY to Downstate to a container to NRW to an apartment in Berlin and then here: it deserves its final peace in pieces. As with the tickets to a-Ha in Amsterdam, we had the opportunity to get tickets to Lady Gaga in several cities for points. The concert that fell on a possible weekend was in Budapest. I'd never heard of Lady Gaga except in reference to her wearing a meat dress at an award, which I thought silly and a bit disgusting, so I wasn't certain whether it would be worth it. But the German said that he'd never been to Budapest and would enjoy visiting, so I grabbed the tickets and then was able to get a great deal through family at the Budapest Intercontinental. I'd visited Budapest last in 1986, before the fall of the Soviet Union: although I was certain the city had changed, I remembered it as a beautiful and friendly city. We flew into Budapest Ferihegy (please excuse the lack of accents throughout this blog post) and were able there to buy, at the Post, a 72 hour unlimited public transport ticket. (I used my German ATM card to take out Hungarian forints (HUF)from the ATM while waiting for our suitcase to arrive— Hungary hopes to be on the Euro in the next few years, but after the financial crisis, who knows?). We didn't buy the Budapest card, which would also have included transport, because we didn't expect to visit many sites. We then took the bus to the transfer station, got on the subway, and got off 1 block from our hotel. Not using a cab or shuttle in this one direction paid for the entire 72 hour ticket. When we got there, we asked if there was any chance we might upgrade our room and they already had: our room had an amazing view—waking up there every morning was like living inside a piece of art. We spent a lot of time just walking around the city (both Buda and Pest), along the Danube, and through the Castle and Parliament grounds. On Sunday we visited the Tobacco Street Synagogue and museum and had an interesting discussion with the tour guide. A gentleman on the tour tried to not accept a head covering when entering the synagogue— he said that his personal view did not require that— but did accept one after he was told that he would not be able to enter without covering his head. Would anyone expect to enter a mosque wearing shoes, or a Greek Orthodox church with bare shoulders? I visited this synagogue and the Jewish area when I was here in 1986: it was very interesting discussing with the guide the changes in the Jewish community and the differences in antisemitic acts since then. I wonder if I am the last person in the world to have heard a song by her? I was really surprised by how much I enjoyed the music and by what a positive message Gaga was putting out (everyone is a superstar, there's life after adolescence, the meek will inherit the earth, positive body image, and so on). I did think the concert wasn't necessarily appropriate for the 8 year olds I saw there, but that was because of the profanity (I'm old-fashioned) and the sheer volume (I wore ear plugs). I wonder how many people recognized the Wizard of Oz motif? We had a great time and Budapest is a great city to wander around in: if I ever manage to put together an album, there's some wonderful architecture there. One of the issues I have been pondering since I moved here is how to handle my stay. My husband and children are, of course, German nationals (in the case of the children, dual-nationals). I received a three year visa when I arrived, as one would expect. Since I came to Germany knowing not even a word of German (darn all those years of French and Latin! ), it was an immediate goal for all of us that we learn the language. My children went into a Geman kita as soon as we found a place to live and a kita that we liked, and I went straight into a language class (it took about 6 weeks for the above). I had some ups and some downs, quite a few missed classes due to the children being ill and a few due to my being ill. Then vacations and breaks and travel and more illnesses and so on. But I went on from A1.1 to A1.2 to A2.1. At this point life became even more awkward, as the German started working in a different city and the girls started going to different schools. Still, after another pause and another illness or two, I persevered and went on to A2.2 and finally B1.1. I stalled out a bit there, as the German's work schedule became busier and the girls' swimming schedule did the same, but I only delayed my last class and finally finished B1.2 this fall. However, my visa ran out before that date and I wasn't certain whether I should take my exam before applying for a permanent visa. To make it worse, here in Berlin at least, it's just about impossible to get the Auslanderbehorde to either answer the phone or return e-mails and my scheduled appointment was 1. only 4 days before the expiration of my three year visa and 2. my husband (required to be at the appointment) had a meeting that day which was not re-schedulable. So we had to actually take a day to go to the Auslanderbehorde just to see if we could reschedule our appointment. At the actual appointment, things went more smoothly than one might expect, having had prior experience with German Amts. The German brought every piece of paper that he had brought for the first appointment we had (when I received my first visa). He brought even more pieces of paper- every one that he could think of. I brought official forms from my VHS showing the German classes that I had completed (there are official forms for everything here- when I started to write a not on one the Secretary scolded me for doing so on an official form) and the receipts showing registration for the DfZ and the Orienteerungskurse. It started well: the Beamterin was nice (didn't yell at us and said hello), took all our forms and when she asked for additional forms that we had not been told we needed, we actually had them. But then she asked for an employment contract. That's something the German doesn't have. That is, he has a contract showing that we are here in Germany for a certain time and he even had an older note from his boss discussing his circumstances. He had pay stubs and tax info and insurance info and a million things. But what he didn't have was a German, currently dated, official form saying that he can't be fired tomorrow. I kept on saying that this particular type of form doesn't exist in the US, and as was clear in all his information, the German is employed in Germany through the international side of an American firm: on loan, as it were. The Beamterin said other North Americans have brought in such forms and that she could accept a note from a partner written on letterhead. Unfortunately, it was a holiday in the parts of Germany where someone might have been able to help us out and fax such a note over. I asked what would happen without such a note, considering that my visa had already expired, and she said the issue was that she wanted to give me a permanent visa rather than another three years and that there were additional documentation requirements. So we went back out to the waiting room while she looked over the documentation that we had and discussed our lack of the contract with her superior, I assume. When she called us back, she had already put the permanent visa into my passport. I asked her why I didn't need to finish the Integrationskurs or take the Orienteeringskurs or the DfZ (the German poking me to stop the whole time), saying that I thought they were required, and she looked at me as if I were mad and said that I had (while arguing, I guess) displayed an adequate amount of language knowledge and off we went. It was an interesting experience and one that I think shows how relatively easy it is for Anglophones to become permanent residents: so many of my classmates from a non-Anglophone background seem to have encountered so many more problems on the way to their permanent residency. The process also explains why all my Anglophone acquaintances seem so surprised that I have actually bothered to take classes— they laugh when I say that I need to know the language and want to take the 45 hour class (why wouldn't I want to have an understanding of the structures and legal basis of the country in which I am living?). Let me point out that even with a theoretical B1 level of language, I am still unemployable, I would guess. I think C1 would be an employable level of language when any conversation ability would be necessary and my written German is even worse. But with this level of language, I can live in this country, I can speak to my children's school teachers and I can make myself understood in any situation at all, even though it might be with an incorrect sentence structure or general rather than specific word choices: this is what integration means. Everything after this is above what is required and will simply make me personally happier. The Year of Magical Thinking by Joan Didion (DT) This is a re-read. Sometimes, when I feel myself confronting my own mortality and that of those I care for, it is calming to read through someone else's progression through survival. The holiday that we miss the most is Halloween. Halloween in our old home is one of T1's favorite memories: our small area was a mecca for trick or treaters, with a large number of the people in our neighborhood putting time and attention into Halloween decorations, themes and motifs— even more than for Christmas. Here in Berlin we have tried trick-or-treating in Zehlendorf (the kids found the sheer density, as every Berliner with an interest descended upon this once American area, overwhelming), a private party (nice, but too old and thus too frightening for them), and this time we tried going to the Botanical Gardens. This was quite a lot of fun and I think would be even more so as the children get older. T1 still reminisced over the trick-or-treating and especially our neighbor J's fabulous Halloween party, but they also had a lot of fun. I met the family there after a class and the girls had already had their faces painted and done some crafts. Then we wandered over to a hay meadow and spent quite a lot of time throwing straw at each other (I think they enjoyed it more than I did) . We did some walking around and enjoyed the grounds and then we bought the children each a small pumpkin, rented a sharp knife and a spoon and the children drew the faces and we carved the pumpkins for them. Some more playing and some tree climbing and we went home, put tea lights in the jack-o-lanterns, and displayed them in the window. Since my B1 class ended, I have started to take advantage of the many interesting opportunities Berlin gives, in conjunction with different groups and vereins. Color Fields art is a style that I found annoyingly navel-gazing. In a period when vastly exciting and world altering events were taken place, artists (the vast majority white males who could afford their self referential lives) played with color. In many ways, this is the type of art that people are speaking about when they say their 3 year old could produce the same art. Methods included the famous flinging paint at a canvas and holding a coffee can full of paint, with a hole in the bottom, over canvas. Some of it is very pretty to look at (I particularly liked the two above), but others are not. Even those that are attractive can now be made easily with the aid of computers. So it's clever stuff, but not, I find, moving. And I think art should indeed be moving, or it's actually graphic design. The guide was extremely knowledgeable, the food was lovely, as was the conversation at table. After visiting Peggy Guggenheim's home in Venice last year, I had been meaning to visit this affiliated space (they are both affiliated with the NY Guggenheim) and I am glad to have done so. The space is interesting: it's in the older section of the old Deutsche Bank, to which the Bank returned after the fall of the wall. Deutsche Bank is famous for its art collection (and its practice of "lending" it's art out to its offices and employees throughout the world) and I hope to get back for the guided tour through the offices themselves and the opportunity to see the artworks on display in the upper levels. There are also other intriguing activities available for both adults and children, so I expect I'll be visiting again.